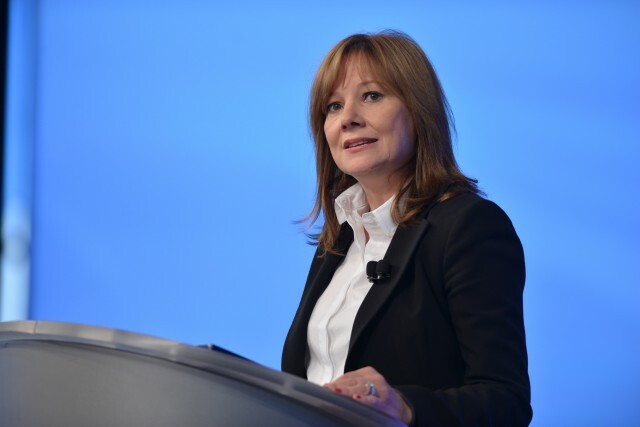 General Motors CEO Mary Barra appeared Tuesday to walk back from earlier statements that China would be artificially creating demand by mandating electric cars in the future. “Clearly we believe that the Chinese market will have the highest electric vehicles most quickly because of the regulatory environment,” she said, according to The Detroit News. “I think the point I was trying to make, and it kind of got spun into something a little different, is at the end of the day you still have to make customers happy and you have to fill their needs." That's a little different than the tack she took last month when she told analysts and investors in Shanghai that, "it works best when, instead of mandating, customers are choosing the technology that meets their needs,” according to The New York Times. “We’ve encouraged the Chinese government to work with us and work with the industry to make sure we’re creating the excitement and demand for electric vehicles as opposed to it just being mandated,” Barra said Tuesday when she topped Fortune Magazine's Most Powerful Women list. Already, the aggressive plan set forward by China this month has sent shock waves through automakers and regulators in other countries. China, which represents the biggest opportunity and sales market for any automaker on the planet, pushed ahead its plan to cut emissions and increase electric car sales—far ahead of regulations in California, or anywhere else. It's not clear how many of the world's biggest manufacturers will meet the ambitious 10-percent sales mandate of "new-energy vehicles" (plug-in hybrids, or battery electric vehicles) for any large-scale manufacturer, but Barra pointed to the Bolt EV as proof of progress. “I really think (the Bolt EV is) part of the solution. I think we’re getting cycles of learning and the experience to make it affordable. I think it’s going to be part of the solution, both from what customers want to drive because we look at what the customer really cares about, but also from a regulatory environment and doing the right thing for the environmental perspective,” she said, according to The Detroit News.